Preheat oven to 325 degrees. Score fat and any skin on pork in a crosshatch pattern. Make slits all over meat with a sharp knife and insert a garlic sliver in each slit. Pat pork dry and season with lots of salt and pepper. Heat oil in heavy pot or dutch oven over moderately hight heat and brown meat on all sides, turning with tongs and carving fork. Transfer pork to a plate. Add onions to pot and saute, stirring occasionally, until softened and starting to turn golden, about 5 minutes. 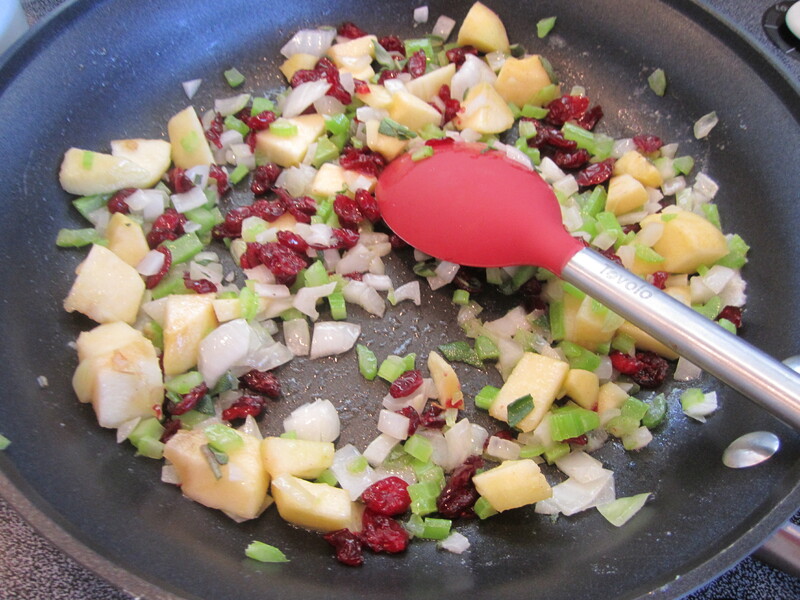 Add 3/4 teaspoon salt and saute, stirring occasionally, until onions are golden and caramelized, 8 to 10 minutes more. 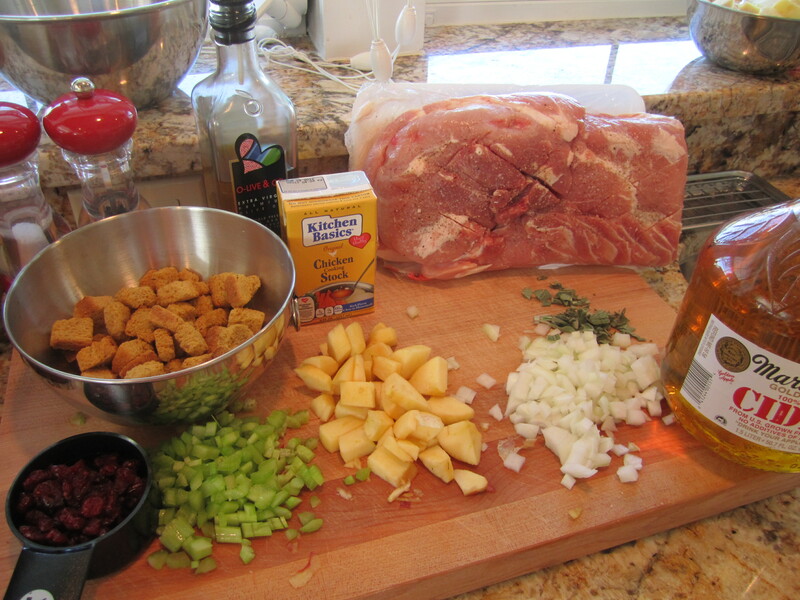 Stir in cider and return pork to pot. Add thyme & rosemary to pot. 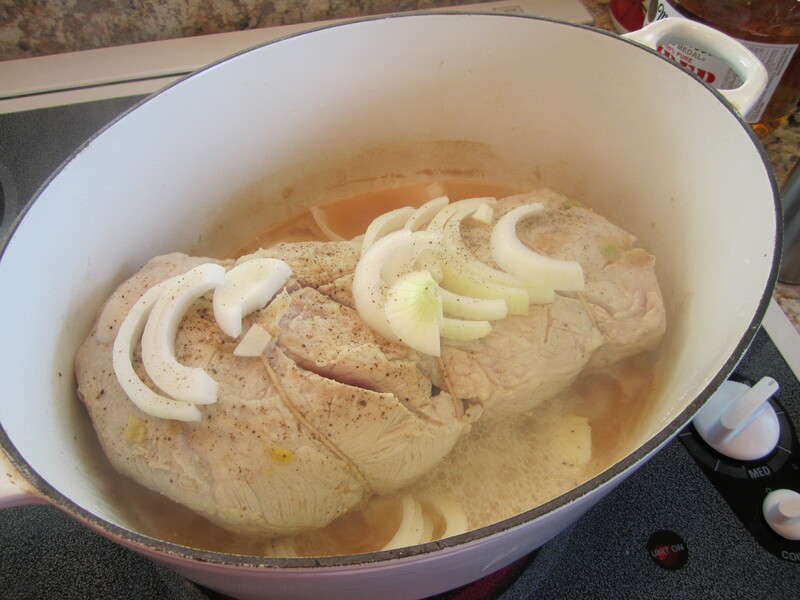 Cover pot with tight fitting lid and braise pork in middle of oven until very tender, approximately 3 hours. 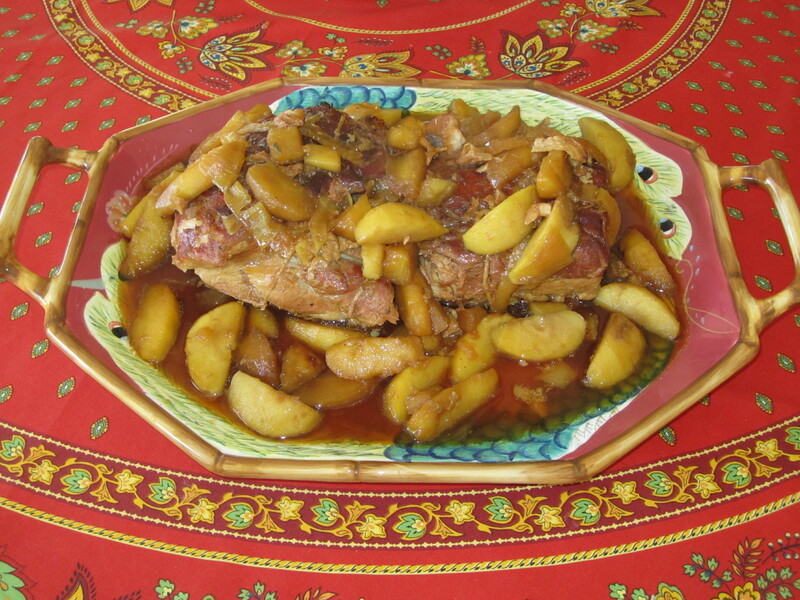 Transfer pork to a serving dish with the aide of tongs and carving fork. 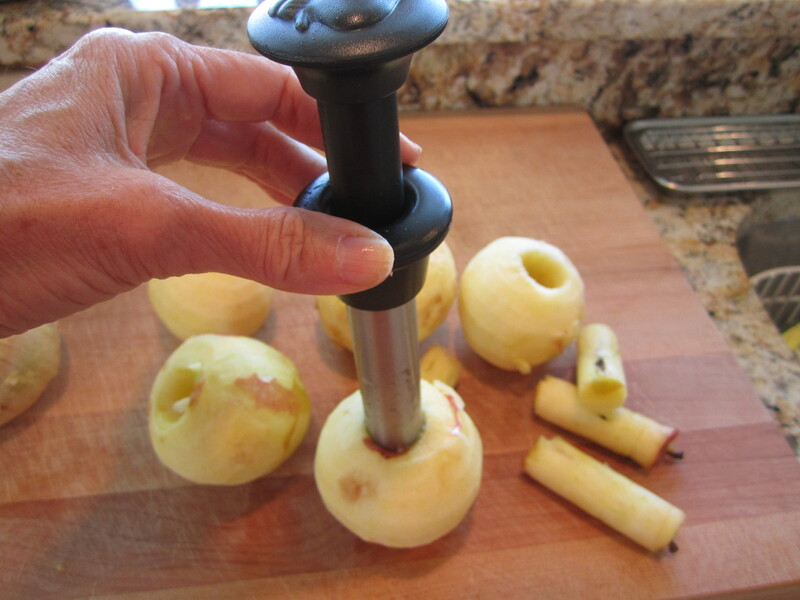 Add the 3 sliced apples to the pot and boil cooking juices and apples for approx. 5 minutes. Season with salt and pepper and serve with pork. Serves 4 to 6. In a large skillet, heat the butter on medium-high heat. 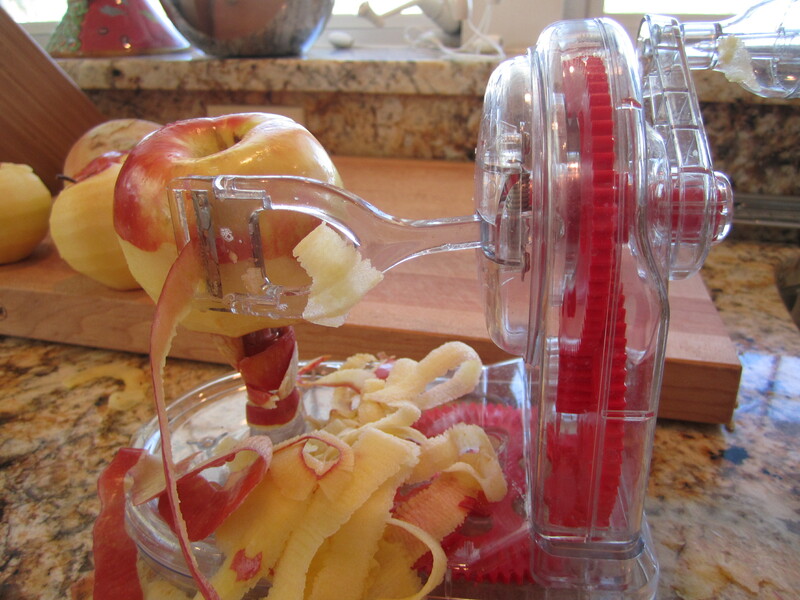 Add the onions, celery, apples and sage. Saute until softened. 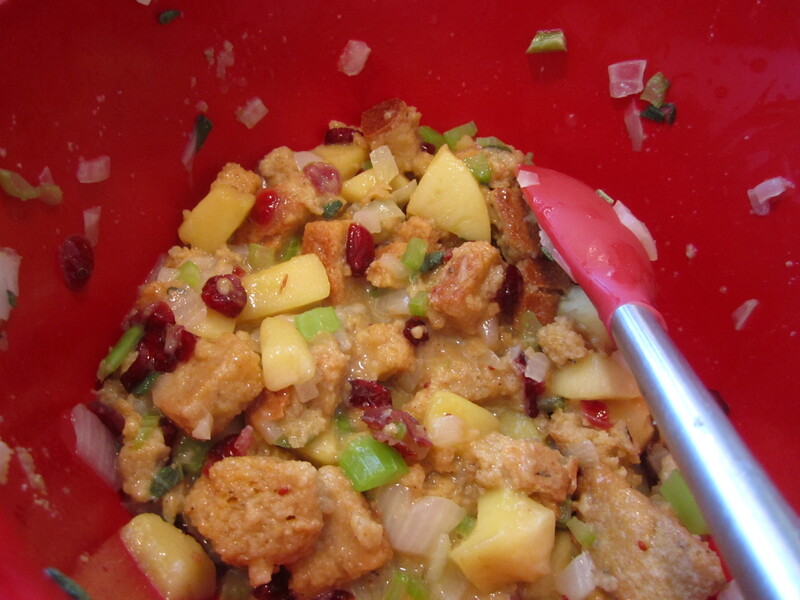 Remove from heat and gently stir in the Craisins, corn bread dressing, beaten egg and salt & pepper. Add the chicken broth and stir until everything is blended. 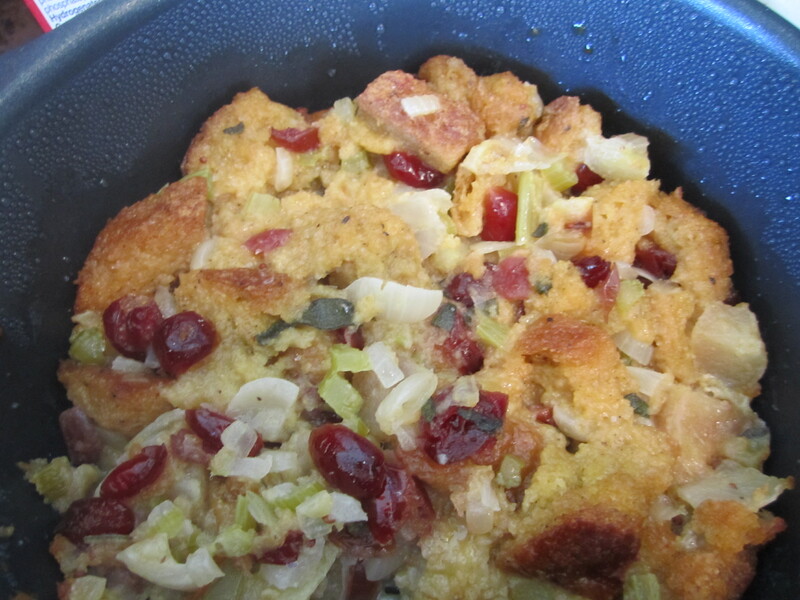 Let the stuffing stand for 5 minutes to absorb. Place in small casserole dish, cover and baked along side the pork for 45 minutes. 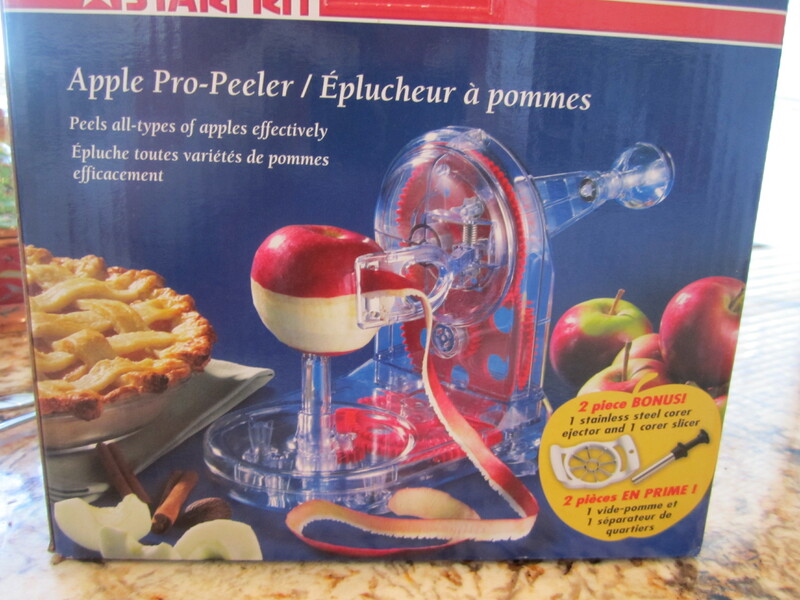 My favorite tool to peel apples! This entry was posted in ENTREES, Sides & Misc. and tagged Apple, apple cider, apple cider braised pork roast, apple dressing, braised pork, dinner, dressing, entree, entrees, PORK, pork roast, roast, sides. Bookmark the permalink.